Basically for the majority of women (around 90%) we recommend and supply, as standard, 20mIU High sensitivity ovulation tests and 10mIU High sensitivity pregnancy tests. This is what we will send you if you do not specify anything different. How do I know what is best for me and what does this mIU stuff all mean anyway? In its simplest terms the numbers (e.g. 25mIU) are just a standardised measurement system that detects the pregnancy or ovulation hormones present in your body. The lower the number the higher the sensitivity. Essentially the higher the sensitivity the earlier you will detect your pregnancy. We have given more detailed information about what this all means and why this is important lower down the page. As with pregnancy tests the higher the sensitivity the earlier you will detect if you are about to ovulate. If you have regular cycles and no known problems then the High 20mIU sensitivity are the ones you should have and the ones we recommend. We have given more detailed information further down the page about why you may need different sensitivity ovulation tests and how to discover if you do. Why are you the first and only Company to offer different sensitivities of pregnancy and ovulation tests? We care about our customers and we “listen” to what they tell us. When it comes to pregnancy you want to know you are pregnant as soon as possible so we supply, as standard, the highest sensitivity tests available at 10mIU but still offer the ‘normal’ 25mIU tests if you want these ones instead. Most doctors still use the less sensitive 25mIU tests but many hospitals now use our Ultra Early 10mIU tests as it is vital that before giving any emergency treatment it is known whether the woman is pregnant. 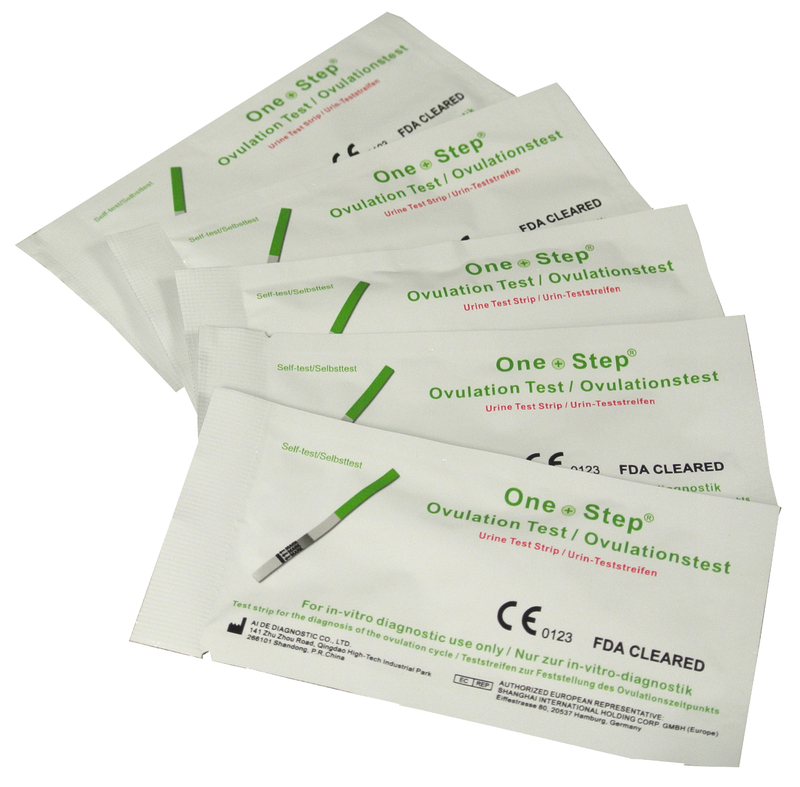 We now sell literally millions of these tests in the UK and throughout the world – they are made specifically for us and comply with CE (European Community) and FDA (United States) rules and regulations and every pack has the approval details printed on them. 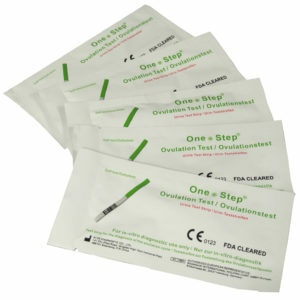 These tests are sold to some of the largest organizations such as the UK National Health Service (NHS). The tests supplied to the NHS are identical to the ones sold to you and every batch is checked religiously for quality and accuracy – they are more than 99% accurate. As for the expiry dates, they will always be at least 15 months away and more often nearly 2 years (which is the legal maximum). Very simply a menstrual cycle is defined as starting on the day of first bleed to the start of your next bleed. So Cycle Day 12 (CD12) would be 12 days after you first started your period. The consistency of cervical mucus changes throughout the menstrual cycle. Usually after you finish your bleed you will have 3/4 days when you have dry days. The wetness then increases daily usually lasting about 9 days at which point the mucus will become plentiful, slippery, clear and stretchy. The best comparison is that it is like egg whites and at this point it is a good sign that ovulation will occur in the next couple of days. After ovulation occurs the mucus will again become more sticky less stretchy and then dryer again. You can read the results in under 5 minutes and a positive result can often be seen in under 30 seconds. However, the full reaction time of 10 minutes is required to confirm a negative result. Many doctors and clinics use our pregnancy tests anyway, in which case they are exactly the same. Occasionally, some women may be given a blood test, but they are not very different from our pregnancy tests either as both types look for the presence of HCG in your body. Yes, if 2 lines appear you are pregnant no matter how faint the lines appear. 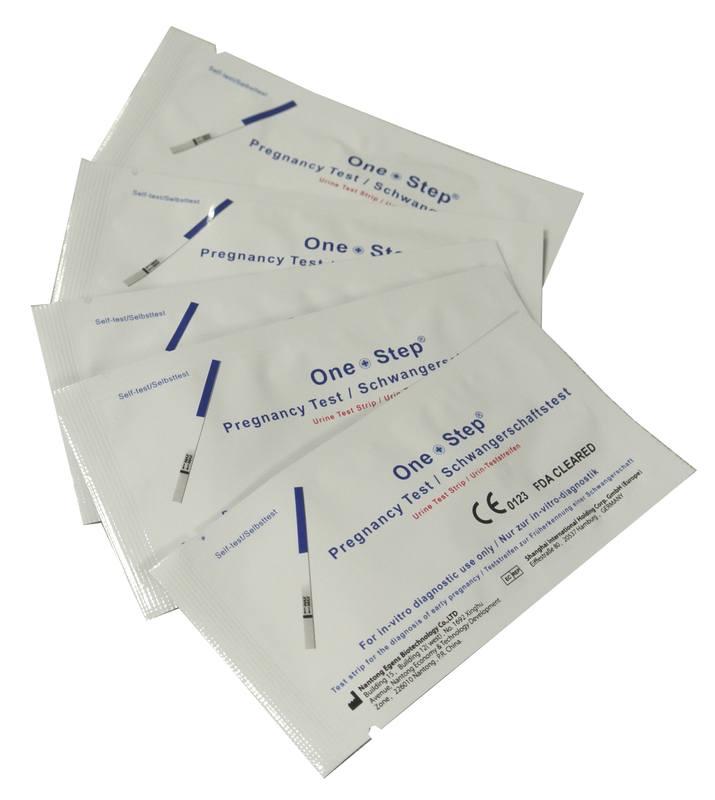 Our 10mIU tests have been designed to identify very early when you are pregnant and the test line will be fainter than the control line until you have been pregnant for about 4 weeks by which time the test line will be as dark or darker than the control line. This ensures our tests do not give false positives which is very important when you want to know if you are pregnant or not. What are 10 mIU Ultra Early pregnancy tests and what does it all mean? It is unfortunate that some eBay sellers claim their tests are ultra early and 10mIU when they are not. 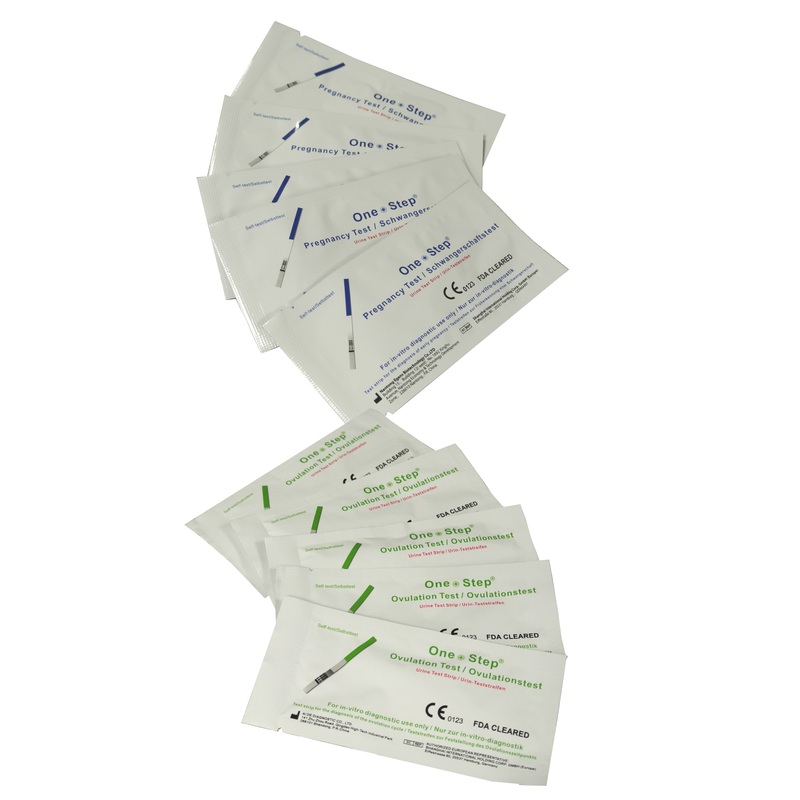 Basically if the outer foil doesn’t indicate 10mIU then they are NOT the Ultra Early highest sensitivity pregnancy tests. We send out the Ultra Early 10mIU tests as a standard. The number given after the Lot number (-10 or -25) indicates the sensitivity of our tests. Some women on hormone treatments containing HCG may require tests with the lower 25mIU sensitivity and for those women we will happily send you 25mIU sensitivity tests – just let us know in the “add message” box at checkout. A 10mIU pregnancy test will show a faint line at a level of 10mIU of HCG (the hormone that is produced in large amounts when you are pregnant). A normal non-pregnant woman is at a level of 5mIU or less and from the first day of becoming pregnant the level of HCG doubles every other day for the first 3 months until the level is at several hundred thousand. The average woman could, therefore, show a faint line only 2 days after conception but if the level started at 1mIU then it would be several days after conception that the line would show. Accordingly it can vary from person to person and the actual day of conception in the cycle can vary slightly depending on the day the egg was released from the ovary, the day it was fertilized and the day the egg implanted. 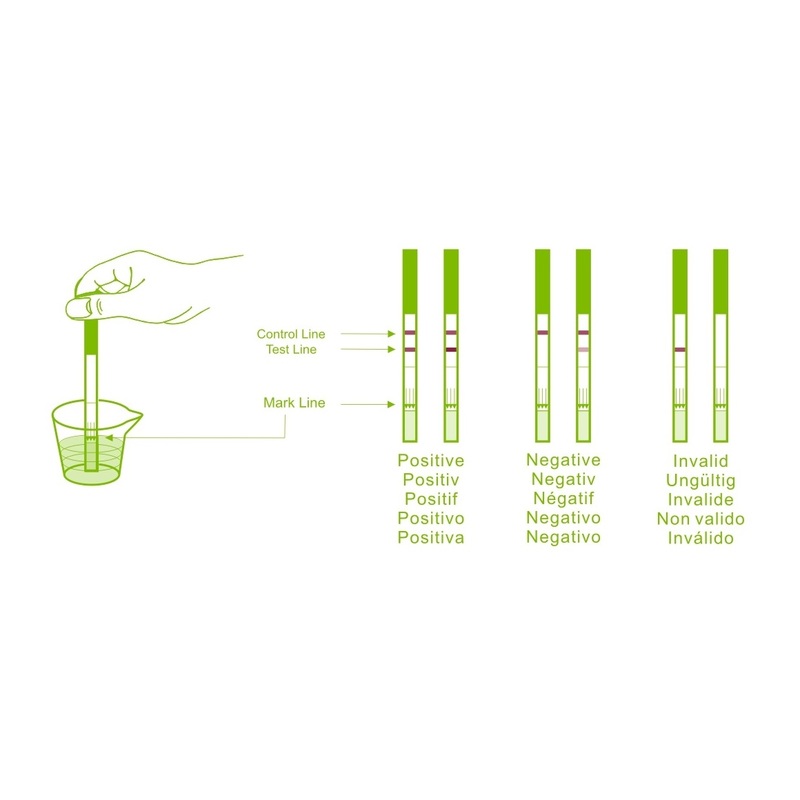 Normally we would say that these tests would be certain to show a positive result 6 days after conception. On the 7th day the line would be much darker and so on. Having said that we have had women say they showed positive after only 2 days!! The risk of testing too early being that the test could be a ‘chemical pregnancy’ as the fertilized egg may fail and turn out to be just a heavier period than normal. Experts estimate that up to 50% of all pregnancies end in a miscarriage and many of these manifest themselves as slightly later or heavier periods. You should avoid testing your urine first thing in the morning as LH is synthesized in your body early in the morning. It will not show up in your urine until later in the day. 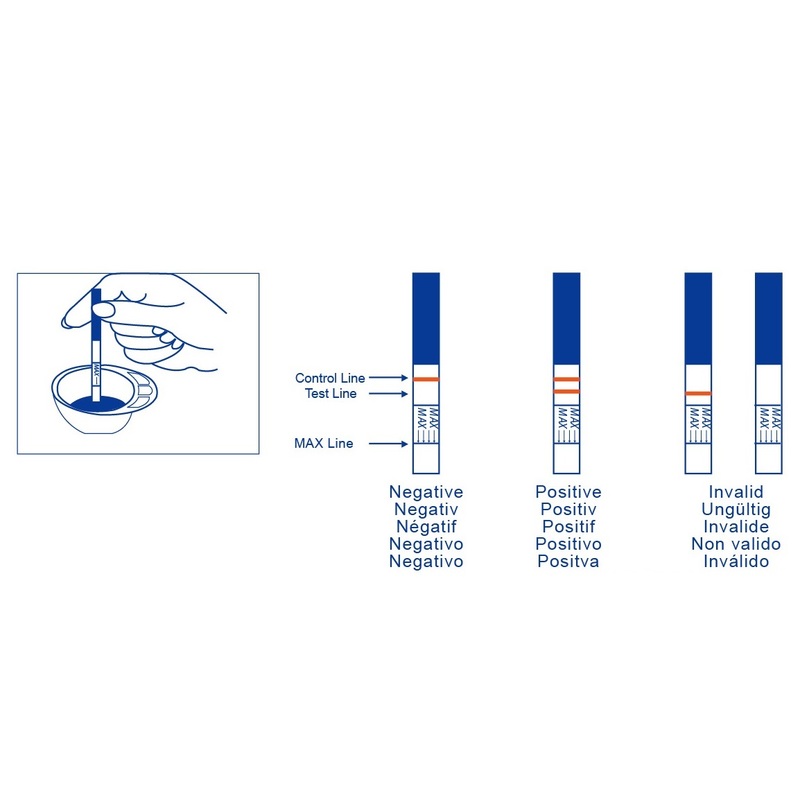 What about the sensitivity of ovulation tests and why might I need a different sensitivity? Firstly, virtually every woman in the world will ovulate almost exactly 14 days BEFORE she starts her period – not the other way round!! That’s fine for women with regular cycles of 26-30 days between each period but the trouble is a lot of women have irregular periods or other conditions such as PCOS, a lazy ovary, previous miscarriages, endometriosis, currently breast feeding etc. In any one cycle and on average, 80% of women will ovulate normally but around 11% of women will not ovulate at all and another 9% will ovulate twice or more. The latter explains a lot of those unwanted pregnancies by Roman Catholics trusting to the “rhythm method” to prevent conception!! Now the “average” woman will have an LH (the hormone that triggers ovulation) level of between 5-20mIU in her system. When the surge occurs the basal level rises to approximately 50-200mIU and at this level ovulation occurs and the egg is released from the ovary. This means that for most women the 20mIU High ovulation sensitivity tests that we sell are perfect. But how will you know if they are not right for you? I hate to say this but it is trial and error. Firstly, if there is a problem and you don’t seem to be ovulating normally – DON’T WORRY – it is not unusual. The reason is usually simple and is down to the fact that each woman is individual and can have different results from ovulation tests – here is just 1 example. We have a lady who is suffering from PCOS and this can sometimes (NOT always) cause the LH level to be consistently at a higher level than “normal”. This woman will appear to get a positive result with our 20mIU tests over several days and she is therefore not certain when she is ovulating. In this case we would recommend she purchase the lower sensitivity (30 or even 40mIU) ovulation tests which will better pinpoint the LH surge. So what do you recommend for a newcomer to all this?